EXCLUSIVE: When Michael Ebeid arrived at SBS in June 2011, from a Marketing & Strategy role at ABC, he had to start making tough decisions including cancelling a previously-announced drama series set in Darwin, Dusty. It was to be one of the first tough calls he would have to make in order to restructure the multicultural broadcaster in a rapidly-changing landscape of digital competition, an advertising downturn and funding cuts. “When I walked in we had over-committed our budget with more commissions than we could afford. Dusty was a very expensive drama that we had to pull out of. Sue Masters, the producer was very upset with me. But she ended up coming to work for SBS and made some amazing dramas for us over the years,” he recalls. Ebeid has his final day as Managing Director and CEO today. He tells TV Tonight the SBS Board had offered him a third term which would have amounted to 12 years, but he decided to move on. “I thought 12 years is too long for a CEO in any role, really. Ultimately I felt that SBS’ transformation has been completed in so many ways, both back of house and front of house. SBS is in good shape at the moment, both financially and content-wise. During Ebeid’s time SBS has doubled its commercial revenue from $55m to $110m a year, taking it to a $400m business, about $80m – $100m improvement on 8 years ago. 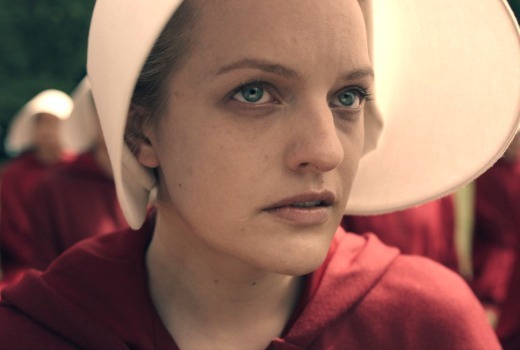 That’s come as a result of new multichannels, a tightening of budgets & staffing, government revenue and the roaring success of SBS on Demand including The Handmaid’s Tale, but also its foreign dramas, films & documentary. “SBS on Demand has now hit 5.4m registered Australians with a login. Two weeks ago Roy Morgan published a report that said SBS on Demand had higher number of registered users than Seven, Nine and TEN, which we were not too surprised about. But when you think about the 6000 hours of content, 75% of it is in languages other than English,” he continues. “There are amazing European countries doing fantastic dramas now. 20 years ago Australians didn’t really love watching things with subtitles, but I think we’ve really opened their horizons and viewing habits. I’m constantly hearing people saying they were watching dramas from Scandinavia, Germany or Sweden. Amongst his content highlights, Ebeid notes dramas such as Sunshine, Safe Harbour, Deep Water & The Family Law. “They are good multicultural stories that nobody else is telling. Who else would do an amazing 4hr drama about the South Sudanese community in Melbourne? Other highlights include Indigenous documentary First Contact, Filthy Rich and Homeless and Go Back To Where You Came From which embarks on a “Live” version this week. As an openly-gay CEO, Ebeid was particularly proud of bringing the Sydney Gay & Lesbian Mardi Gras back to television after a 12 year absence. 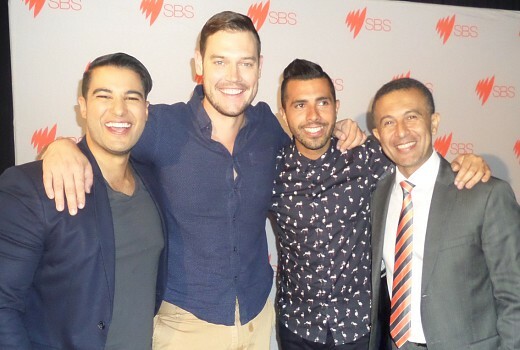 “The LGBTI community are so delighted that SBS has been able to do that. Not just the parade, but all the stories we do on the community, which shows them in such a different light and helps break down stereotypes. I’m really proud of how we do that,” he says. Australia’s inclusion into the Eurovision Song Contest was another coup, as were deals with the FIFA World Cup to 2022 and Tour de France to 2023. “Those 2 big contracts were so important because they are absolute cornerstones of our sports offering. We know that sporting rights are going up in a crazy way, so to be able to secure those was very important. Live sport is absolutely essential for any network. We’ve taken both of them to a new level with the apps and companion viewing, player stats and the incline of mountains they are riding. Viewers love getting all that information on our digital platforms,” Ebeid observes. “On our World Cup app we gave viewers the choice to be the ‘director’ and select 1 of 15 camera angles and watch from whatever angle they wanted. 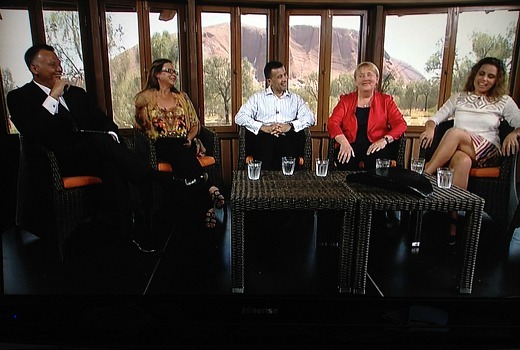 Other achievements include NITV’s arrival as a multichannel in 2012. But amongst the highlights there were challenges too. In 2015 the controversial Struggle Street drew headlines, council objections and a garbage truck protest outside SBS Artarmon headquarters. “It certainly was a difficult period, but I’m really glad we did the show and that we didn’t buckle under pressure and pull the broadcast,” he reflects. “The outrage brigade got their knickers in a knot and worked up in a lather before any of them had actually seen the show. It was all pre-judged based on a promo. It was led from the Allen Joneses right through to shock jock and everybody else, carrying on like pork chops. But when we aired the show SBS went from being national villains to national heroes, overnight. But while all publicity may sometimes be good publicity, Ebeid’s personal life became tabloid fodder when media highlighted his home to contrast it with those living in public housing in Mt. Druitt. As Ebeid heads to a role at Telstra, Chief Financial Officer James Taylor will become Acting SBS Managing Director. While SBS and ABC undergo a range of reviews conducted by the government, I’m curious about what challenges lay ahead? “Obviously Canberra funding will always be a challenge,” he acknowledges. “We need to find more creative funding mechanisms to be able to tell Australian multicultural stories. We’ve increased our commissioning by about 35% over the last few years, which is fantastic. But I would like to see SBS do more Australian content. On the question of his legacy, Ebeid notes TV market share lifting from 4.8% to 8.4% (“that’s a lovely symmetry”), internal digital transformation work and commercial revenue doubling. Yet perhaps as indicated by the glowing employee sentiment that accompanied his resignation, Ebeid looks to the people at SBS as one of his finest achivements. “Our employee engagement scores have gone from 44% to 78% in our last survey. It means people are engaged and happy. It’s a great environment to be creative and innovative. “That’s what has led to our successes. I don’t think we could have achieved such great (things)… without having a highly-engaged workforce,” he insists. “So one of the legacies is having an amazing team of people, who are driven by purpose at SBS. And part of the legacy is that SBS has a very clear direction and vision with a clear strategy and purpose of what it is there for, what it is focussed on, and why we do what we do. Tomorrow: Michael Ebeid on Eurovision. “One of the things I found a little bit amusing with Justin Milne going on about Project Jetstream and wanting $500m from the government to digitise their archives -we already did that 3 years ago. We did it out of savings and stopping a few activities on our tiny budgets. I don’t understand why ABC can’t do it on their budgets without asking for more money.” Kinda says it all really doesn’t it? It is great to see that with the tiny budget SBS has, it can put out such a great resource and product as SBS on Demand. At home, while also subscribed to Netflix and Prime, we spend at least several hours most nights on SBS on Demand. Unlike commercial TV and Netflix, they actually have programs which are different. Stories from the Scandinavian countries, Germany, France, Belgium and so many other places, stories which are actually original, not as so much US based “drama” is, too often the same stories recycled over and over again. 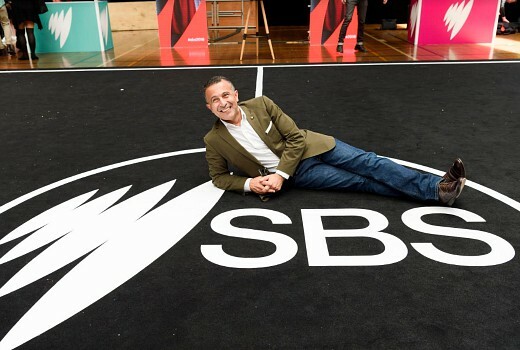 Hopefully, SBS and SBS on Demand will just keep on doing what it does so well, provide great entertainment which I would be happy to pay for, only it is free. Perhaps two versions of SBS on demand, free and subscription based (no adds) would actually work and help SBS continue to outdo the big boys in more ways than one.